When staying at the Cerny Konicek, guests will be able to visit many popular tourist sites in the city including National Theatre, Charles Bridge, Wenceslas Square, and Prague Castle. They will also be able to find a number of places where they can shop, dine, and have a drink in the area around the hotel. Guests will find that it is easy to walk from the hotel to many of the popular destinations in the area. Reaching areas that are not as close to the hotel, including the airport, is easy with the help of public transportation. The hotel offers 30 rooms with private bathrooms and showers. Other amenities that guests will find in the rooms at the hotel include satellite TV and direct dial phones. Every morning, guests will be able to enjoy a breakfast at the hotel before they start their day. The hotel’s onsite restaurant serves a variety of dishes. 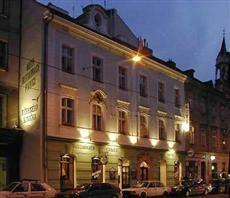 The Hotel Colloseum Cerny Konicek Prague also offers an Internet facility that guests can use.